Anthony Bueno and Claire Bueno, producers of much anticipated CLEANIN’ UP THE TOWN: Remembering Ghostbusters, are excited to announce that they are close to completing a companion dedicated to Ghostbusters II under the title TOO HOT TO HANDLE: Remembering Ghostbusters II. The decision has been made that CLEANIN’ UP THE TOWN: Remembering Ghostbusters will be solely on Ghostbusters, and TOO HOT TO HANDLE: Remembering Ghostbusters II will be solely on the 1989 sequel. Both will be feature length documentaries. 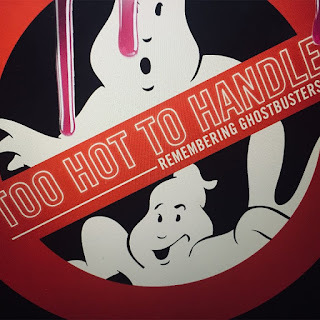 Work has already commenced on Too Hot To Handle: Remembering Ghostbusters II and is in the early stages of the edit. The many interviews with cast and crew include Dan Ackroyd, Sigourney Weaver, Ivan Reitman, Ernie Hudson, as well as Industry Light and Magic’s Dennis Muren and Ned Gorman. Following a hugely successful Kickstarter campaign to help fund the completion of the project, CLEANIN’ UP THE TOWN: Remembering Ghostbusters is near to reaching picture lock. The edit and motion graphics are complete, leaving only the sound design, score and audio to be mastered. The producers are currently in talks regarding the distribution of CLEANIN’ UP THE TOWN: Remembering Ghostbusters and hope to make an announcement very soon in preparations for the 35th anniversary celebrations of the original Ghostbusters and Ghostbusters II’s 30th anniversary in 2019.